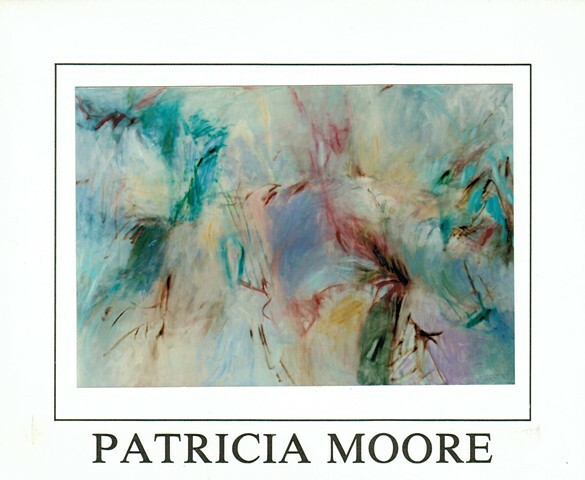 Since her first exhibitions in the early sixties, Patricia Moore has explored the many aspects of abstract expression through both drawing and painting. Moore's delight in the sonorous qualities of line and colour have been linked with the concerns of Monet and later Impressionists - not surprisingly. Yet for Patricia Moore, the evolution of her paintings has been a closer record of a far more intimate and personal journey. This most recent series of canvases document an interesting transition for the painter. As if distilling before the eyes of the viewer, undeniable allusions of landscape unfold. As if in a dream, shimmering clouds emerge and recede; distant hills and mysterious waterways beckon. Filled with a haunting diffused sunlight, this new series of works invite the viewer to share the painter's vision as never before.